University of Missouri officials have announced that classes and activities for the remainder of the evening tonight, Jan. 19, are cancelled. A decision concerning whether or not to close classes tomorrow will be made by 5 a.m. tomorrow morning. Only employees that are situationally critical should remain at work. “Due to a winter weather advisory we just received for our area and out of concern for the safety of our students, staff and faculty, we have decided to cancel all classes and activities for the remainder of the evening,” said Gary Ward, MU vice chancellor for operations. All MU Health Care hospitals and the Veterinary Medical Teaching Hospital will remain open 24/7. 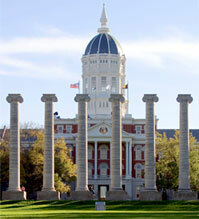 For more information on MU Health Care, please visit http://www.muhealth.org/. The MU Student Center, Student Recreation Complex, residential hall dining facilities and select dining facilities in the MU Student Center will remain open.